Keep your eyes on everything with a fully integrated CCTV system installed and serviced from South Western Communications. 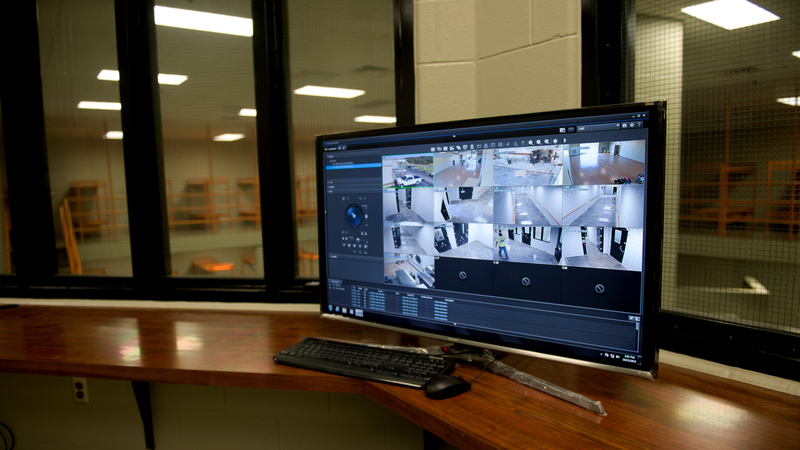 We offer multiple solutions which allow you to view, record, or playback video from any number of cameras on your system. Cameras will automatically call up when an intercom is selected, or in an alarm situation. Our CCTV product offerings undergo rigorous testing and are made from the toughest materials to combat any attempts at tampering. Whether your needs are analog or IP, we have a CCTV system for you.